Knowing how to use punctuation marks is essential to writing well. The comma and colon are some of the most useful types of punctuation, though the rules regarding their usage can be tricky. 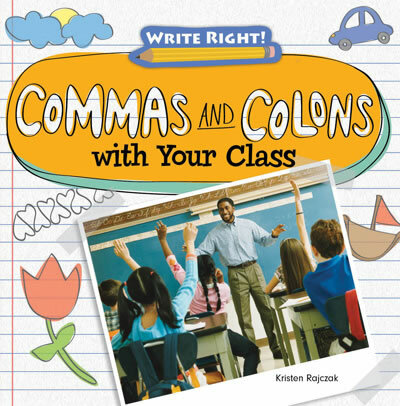 Readers will be introduced to the most common ways commas and colons are used in writing. Written examples feature school-day settings and situations, engaging readers with a topic central to the common core English language standards. Colorful photographs will draw readers in further, while fact boxes give examples of even more uses of commas and colons.